Ahmediye Mosque was built for Maktul Ibrahim Pasha (Grand Vizier of Sultan Süleyman) for the first time. 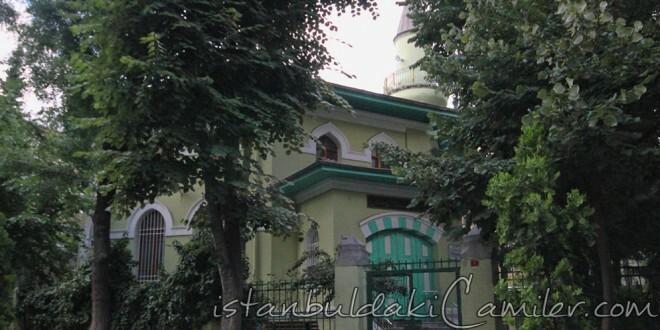 It was built in the neighbourhood of Etmey-dani (a vicinity close to Aksaray and Vatan Road) in the middle of the Janissary lodges. For this reason it was also called as the Orta (Middle) and Etmeydani. Later on when the vicinity is named after Ahmet Fevzi Pasha due to his services in the quelling of the Janissary riot, this mosque was also started to be called as Ahmediye. Ruined in time, the mosque was rebuilt in 1912 in an octagonal shape. There is a fountain in front of the Qibla wall called as Orta Cesme (Middle Fountain) which was built for Damat Ibrahim Pasha, the last Grand Vizier of Sultan Ahmet III. It was made of bricks and stones in octagonal design with a wooden dome. There are four wooden windows in two-piece on each of its wall. Minbar, rostrum and mahfil are made of wood. It has a minaret made of face stones with a single balcony. There is also a cellar under the mosque dating from Byzantine period.